Friends - this is a gift from a member who wishes to remain anonymous. It is a very special gift that we are lucky to have as normally this ebook is shared to FIDE Trainers only. Chess has existed as a sport played at a competitive level for centuries. 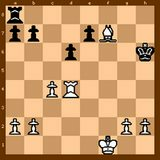 The common code governing the Laws of Chess is relatively recent, and the foundation of Fédération Internationale desÉchecs (FIDE), in Paris in 1924, is even more modern. FIDE currently has 189 member federations spread across all continents. Titles for players were introduced by FIDE in 1950, and titles for Arbiters and Organisers followed. From 2005 we are moving to a new phase, with titles forTrainers. Chess is on the increase in schools across the world. It is part of the mainstream curriculum in many countries. It is a goal of FIDE to make chess an educational tool, and generate worldwide popularity for the game. Examples of the many educational advantages of chess are: shows the need to make people realise the importance of advance planning; develops analytic and accurate thinking; shows the necessity for a combative spirit; teaches fair play and emphasises the need for preparation and hard work for success. However, with the increasing population of chess players, comes the need for trainers to assist with their development. 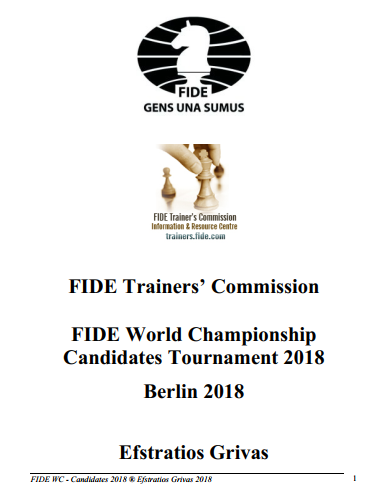 This is a new concept of the ever-active FIDE Trainers’ Commission. This series is dedicated to the important events, consisting of approximately 50-90 pages books. We do hope that we will be able to deliver in every championship and top-event, increasing the level and the education of our trainers worldwide. This series will provide excellent manuals for trainers and fulfils a considerable need in modern chess literature, concentrating on the technical side of the game, but also covering various other topics and providing information.